In this innovative ride, the coaster dynamics are carefully crafted to offer a thrilling and intense low-to-the-ground experience. With three 16-passenger trains fashioned after 1930’s coupes, Copperhead Strike sends riders cruising into a Jojo roll right out of the station. They then go into a lightning fast launch to a 360°loop, the second of five inversions, moving into a series of near-miss twists, turns and flips. Without slowing down, the ride launches a second time to accelerate into a memorable hang time loop, leaving passengers breathless and wondering which way is up. The new coaster is the central element of Blue Ridge Junction, a new immersive, richly themed area inspired by the majestic beauty and easy-going culture of the Blue Ridge Mountain region of the Carolinas. Conceived for engaging all five senses, the redesigned seven-acre area will feature the new Blue Ridge Country Kitchen restaurant in the former Wings restaurant location. More transformational features will open at Carowinds in 2019: The new Spring Hill Suites by Marriott at Carowinds, a 130-room hotel currently under construction, is expected to welcome its first guests late in the year. Also added for the first time is a new dormitory to house students from across the region and around the world, allowing the park to develop programs such as a full internship for travel and tourism students. These features, along with the new roller coaster and themed area, encompass the largest investment in the park since its opening in 1973. 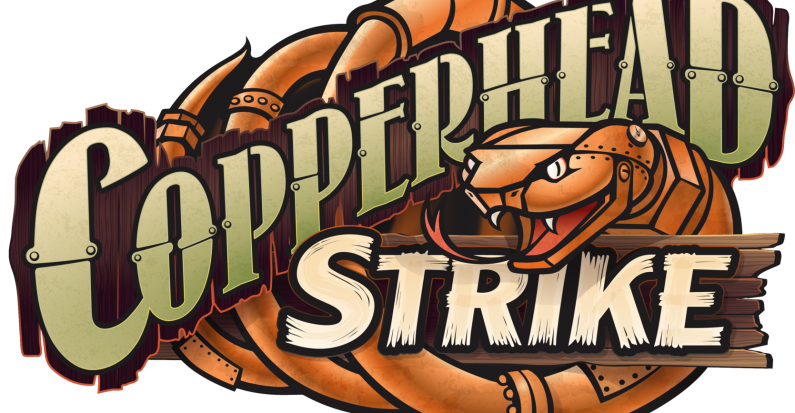 Season pass holders will be among the first to experience Copperhead Strike in spring 2019. Fans can purchase 2019 season passes now at Carowinds.com at the lowest price of the season, and receive unlimited visits for the rest of 2018 and all of 2019. Those who can’t wait to experience the thrills of Copperhead Strike can take a virtual ride at www.Carowinds.com/CopperheadStrike where they can also view renderings, ride stats and more. Copperhead Strike is designed and manufactured by Mack Rides of Waldwick, Germany, a recognized leader in roller coaster development. There are no upcoming events. Stay tuned! ©2014 ACE Southeast. All rights reserved. The American Coaster Enthusiasts logo and the terms American Coaster Enthusiasts and ACE are trademarks of American Coaster Enthusiasts Worldwide, Inc.